Cannes: A day after the Greek crisis was allayed, global economic powers managed to reach a consensus on a series of confidence-building measures to revive the growth trajectory that will focus on the creation of jobs. This includes voluntary scrutiny of national fiscal policies under the mutual assessment process (MAP) so as to ensure coordination, and a pledge by Italy to submit to a monitoring of its debt situation by the International Monetary Fund (IMF). Global financial markets had been circumspect about the Italian government’s commitment to manage its debt problem. According to Prime Minister Manmohan Singh, the decision of the Greek government to reverse its decision on a referendum on the bailout package has provided “breathing space", but does not resolve the structural flaw in the euro zone—that allows for a monetary union, but allows countries sovereignty over fiscal policy. 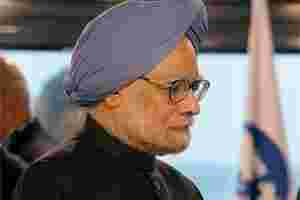 At his press conference immediately after the conclusion of the G-20 proceedings, Singh said, “If you want to have a fiscal union, then you would need a change in constitution—this is an uncertain process. The euro zone has a basic flaw that it does not have a lender of last resort. If somehow the lender of last resort can be devolved on the central bank, then it would be a great confidence-building measure." According to Singh, the MAP process represented the “first time" that the major economies were willing to undertake a collective commitment to follow policies, “which meet their national objectives, while also being consistent with promoting global growth". An official involved closely with the discussions, who did not want to be identified, said MAP was put in place to ensure a more coordinated fiscal policy—specifically to avoid a situation such as the quantitative easing adopted by the US Federal Reserve that infused large sums of liquidity into the global economy and is said to be the main factor behind the creation of commodity bubbles. “As part of the MAP, we have stated that it is our desire in the medium term to get mastery over the fiscal problem and that would require the introduction of GST/DTC (goods and services tax and direct taxes code) and some tinkering with taxes," Singh said. The Prime Minister, responding to queries on inflationary pressures being stoked due to the latest round of petroleum price hikes, maintained that the United Progressive Alliance was committed to the decontrol of fuel prices, including diesel, but this would have to be politically calibrated. Stating that this was a politically-sensitive decision, Singh said, “The direction of change is clear; there has to be more decontrol of prices."